Dreaming & Doing & Life Unfolding Along the Way. We have been asked numerous times over the years many variations on this question, “How did you do all of this? How did you build this place by yourselves?” Here is that story- in part. My hope is that you can find inspiration here to start your own journey. 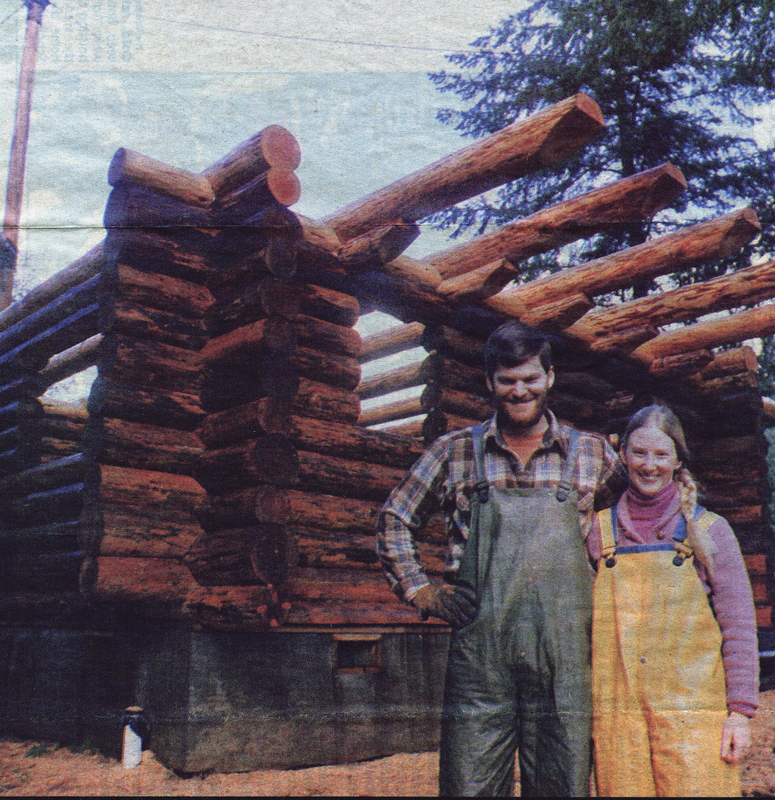 Bob & I met at the age of 21, married at 23, purchased this property as bare land at 25, began building our log home at 27, started our family of three kids at 29. A lot of time has passed since then. We have traveled many roads, worn many hats and learned many skills. Experiences from the highest of highs to the lowest of lows have been a part of those years. 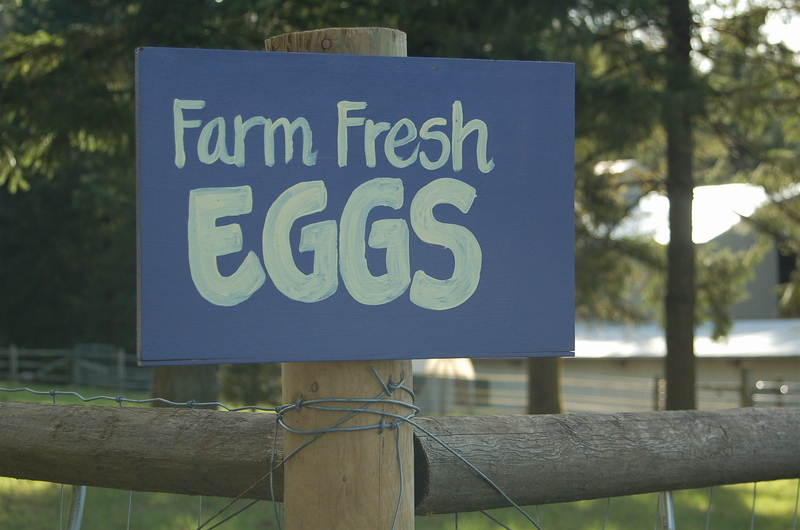 Slowly but steadily over 30 years we have built this family and this farm to what you see today. When we stop and look about us the imprint of our work is everywhere. Thru it all, study and thought, labor and sweat, tears of joy and of despair, the constant has been us, as partners, best friends and soul mates. I knew from the beginning we were meant to spend a lifetime together. We were like the other ½ of each others whole. Plans were made early on to build our own home. For me a farmhouse, for Bob a log house. We settled on a log farmhouse. 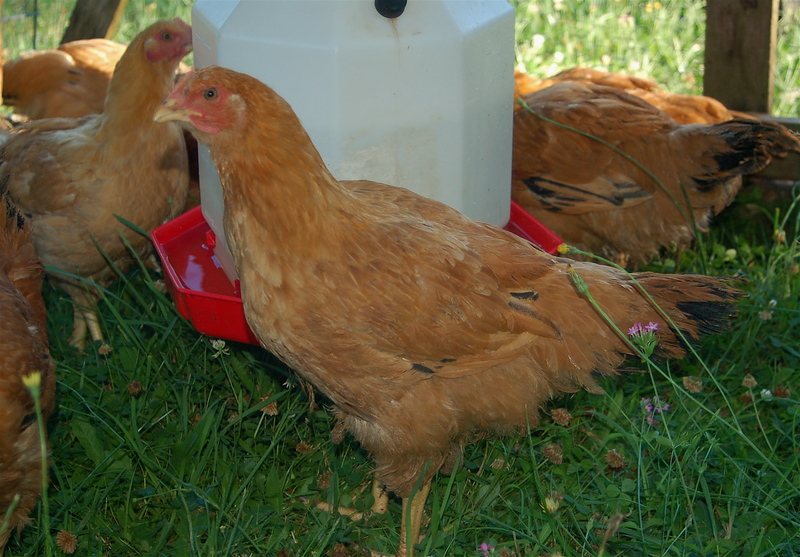 After a year of living in a small old mill house, dabbling in a multitude of country pursuits, scrimping and saving every dime we could we began looking for country property. For nearly a year we looked, traveling over 3 counties, until one day we found an old realtors sign buried in a sea of scotch broom just 2 miles from where we were living. Though not ideal acreage, on a west-facing slope with large fir trees to the south, it did have trees suitable to build a log house, a clean slate of possibilities and we could afford it! In 1983 land prices were lower than now but mortgage interest rates were much higher, averaging 12%. In June of 1983 we became proud and excited property owners. We were able to negotiate an owner contract for 15 years @ 9% interest, putting down 30% of the price with our hard saved money to cover the value of the trees we would be logging to build the house and bravely dove into this wonderful adventure. Starting with the infrastructure we cleared a forest of scotch broom trees by hand, graded a gravel driveway, dug and installed a septic system, brought in underground power and had a well dug. We purchased a vintage Kenskill 8’ X 35’ travel trailer to set-up as a temporary home and built an 8’ X 12’ storage shed for tools. Today that same shed is our chicken house. During this time I read every book and article available at the library, no Google or Internet in 1983! 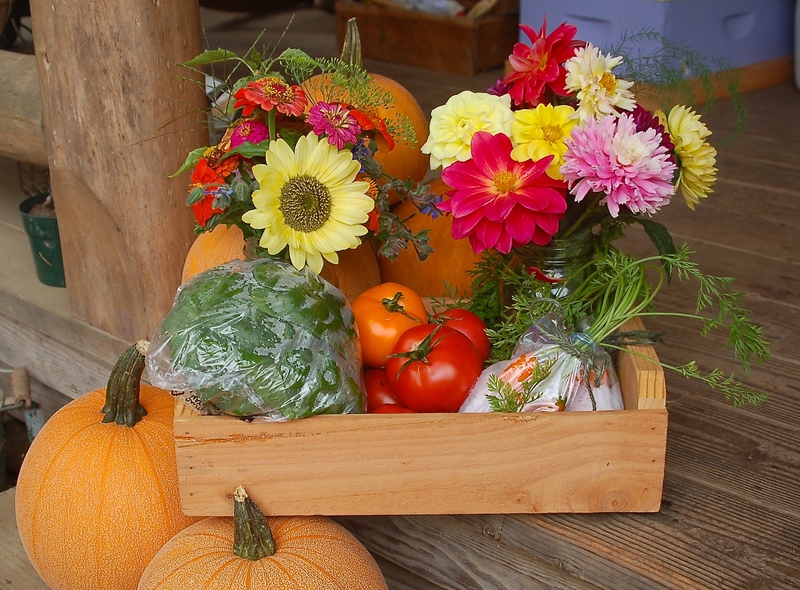 I eagerly absorbed information on any subject related to country living; small farms, home construction and building log homes. We then took a hands-on log building class at Magness Tree Farm in Sherwood, Oregon. The cabin we built for the class is still there today. That class gave us the last bit of confidence we needed to proceed with a many years long journey. 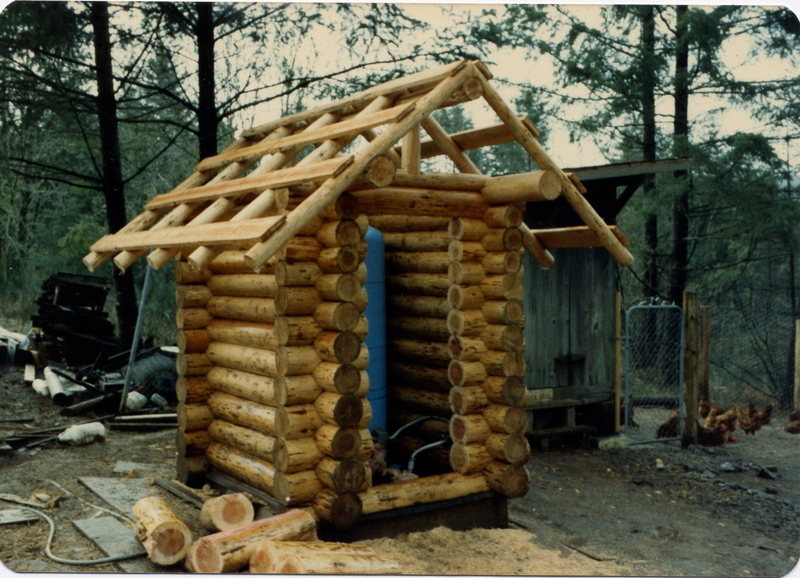 During the winter of 1983 we spent 3 months building a practice log building, our log pumphouse. It was cold, muddy and challenging work but with that project we learned many skills, gathered necessary tools and learned how to use them efficiently. With a practice project under our belts we moved on to designing and drawing house plans. 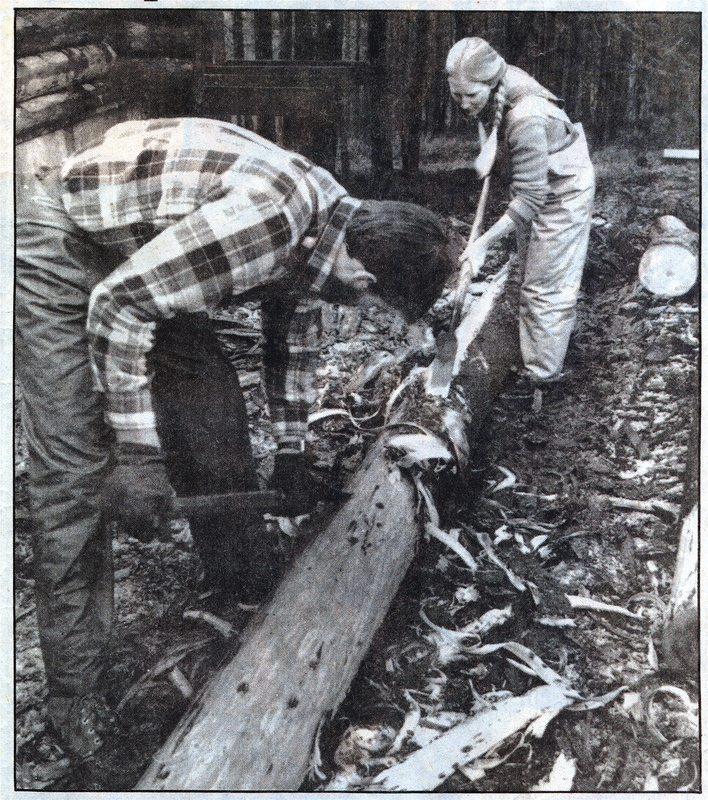 That winter into spring of 1984 we spent logging trees from the property and dragging them to our log decking area where they were cataloged for their intended use. Blueprint plans were drawn and redrawn. 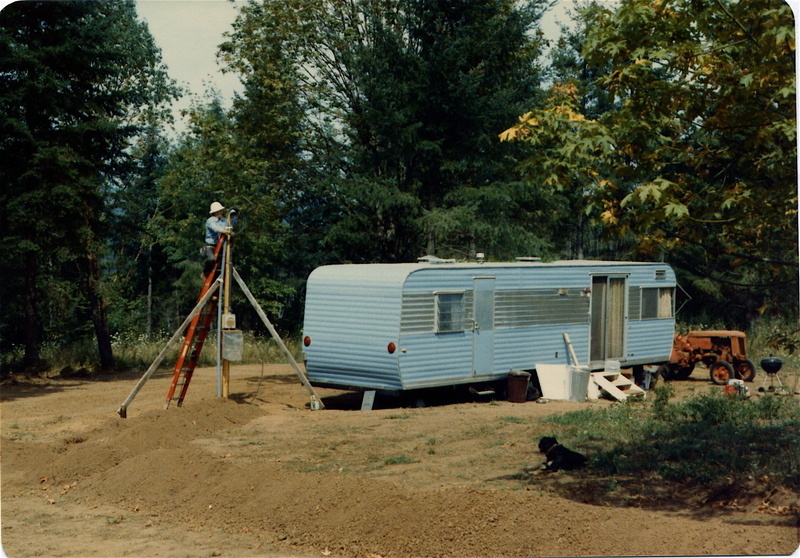 I spent many hours in that small trailer w/ pencil, ruler and paper honing a useable plan. In the spring of 1984 my hand-drawn (on butcher paper) blueprints along with supporting documents were submitted to the county for approval. 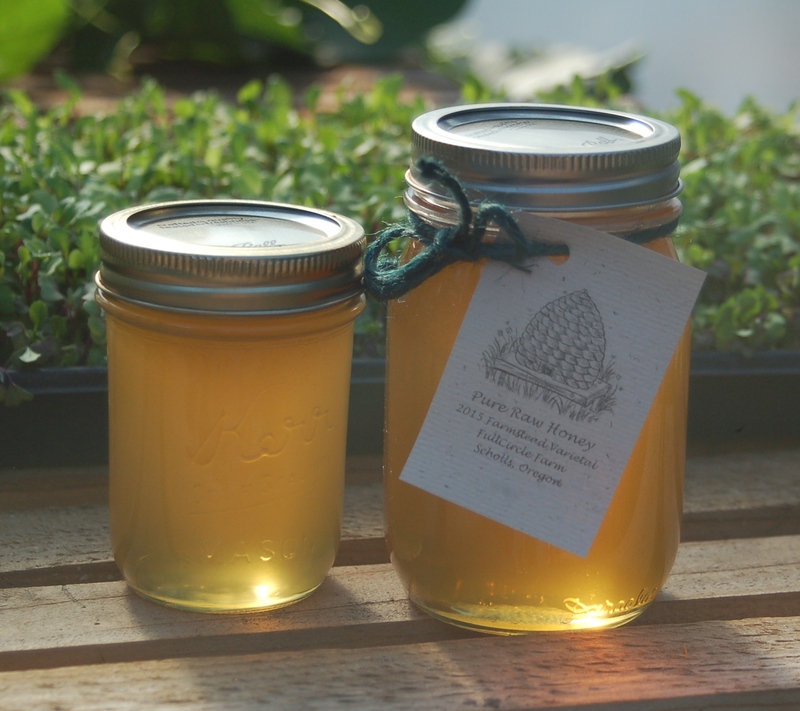 Within 1 week we had approval and a building permit in hand! 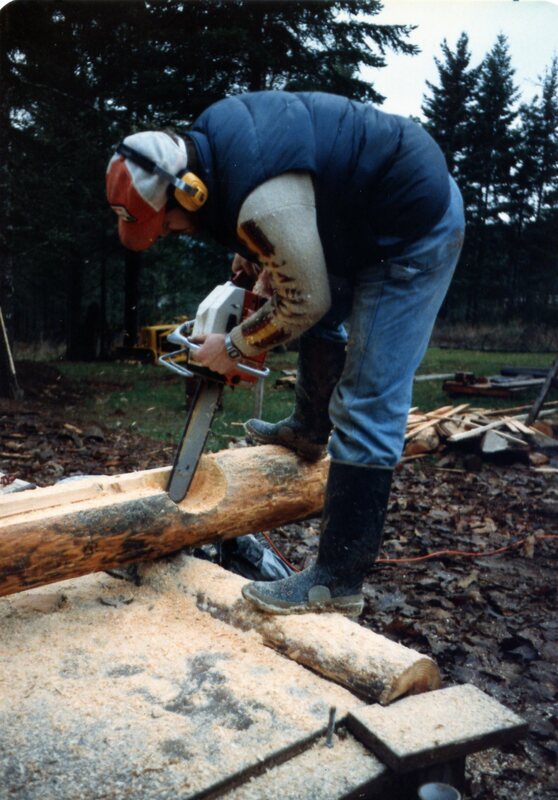 Our 2500 sq ft, 1 ½ story log home was going to be reality! One year after purchasing the land we broke ground on the house. While hiring an excavator to dig the basement we ourselves began building the foundation forms. To save on material, costs, and to keep the concrete pours manageable we opted to do 3 pours, each one heavily reinforced with rebar. The first pour was the footings, once set these forms were removed and materials reused to build the 4’ wall forms of the crawlspace area. Once set those forms were stripped and rebuilt to build the 8’ walls of the basement. The foundation was complete in 6 weeks with the help of my Dad, some family members & neighbors as well as several very helpful concrete truck drivers. That summer was very busy as Bob was working full time as a Paramedic & I part time as an X-ray tech in addition to working on the place every chance we had. With the two of us doing the vast majority of the work ourselves the project progressed with installing foundation drains, backfilling the foundation, placing sill boards, 1st floor girders and joists and finally the subfloor. 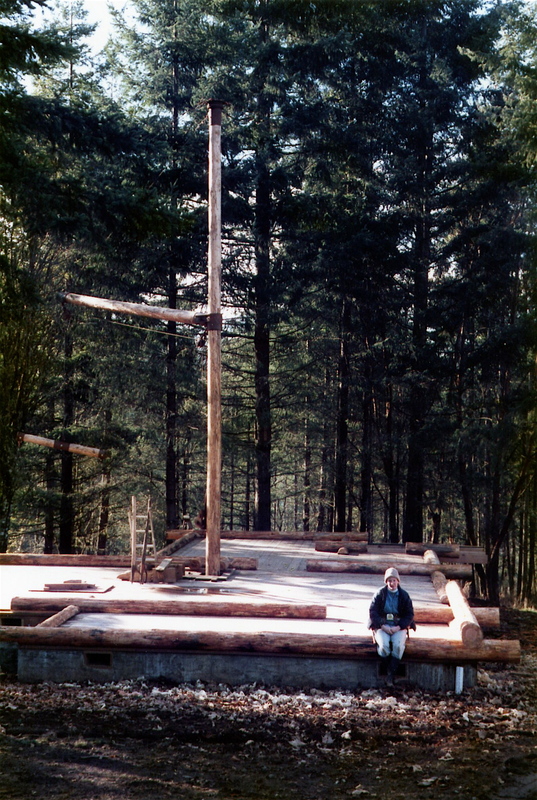 We also designed, built and installed a mechanical system to raise and maneuver the logs into place on the walls. It consisted of a borrowed, very heavy-duty, hand cranked winch mounted on a homemade rotating gin pole system that was guy wired to the surrounding trees for stability. It worked beautifully; never failing us once during the entire project. The gin pole that had worked so hard for us lifting logs into place was later re-purposed as a prominent part of the stairway leading up to the 2nd floor. Finally on Dec. 4th 1984 the two of us together set our first log on the house! By first peeling the Douglas fir log, then scribing, notching and setting it into place we had begun an adventure of a lifetime. By Jan. of 1985 we had finished the first course of logs. We were on our way, one log at a time! This story, at this time, covers 30+ years so I will be posting it in installments. A journey of 30+ years made one step at a time. Please check back often to follow along.